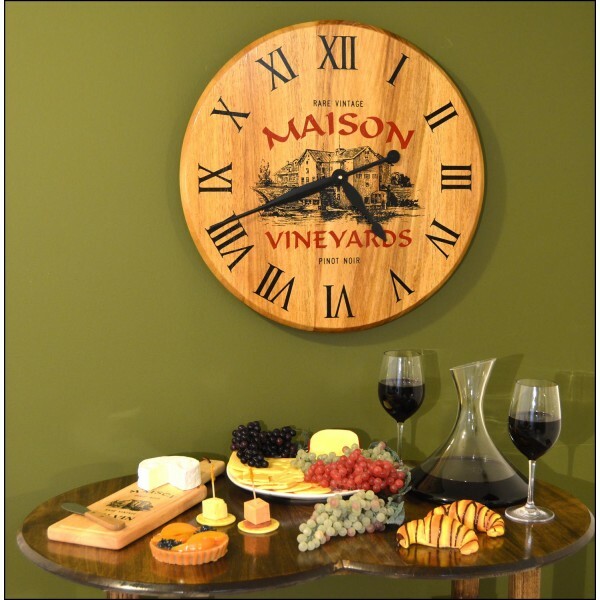 Personalized barrel head clock made from a real 21" barrel head. Enter your name in the field. Clock comes with a high performance quartz clock motor and hanging hardware.